How to take a screenshot on Galaxy S10 Plus, Galaxy S10 and Galaxy S10e [big screen android device] really hard to use some top corner element in single hand. A one-handed mode is more comfortable for the tiny or small hand users. also it’s easy to activate using a cross gesture on the screen. But you need to activate one-handed mode from settings of Galaxy S10 Plus, Galaxy S10 and Galaxy S10e. 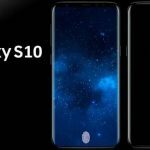 Three models of Samsung Galaxy S10e, Galaxy S10 and Galaxy S10 Plus dimensions are 5.59 x 2.75 x 0.27 in and 5.9 x 2.77 x 0.31 in. and 6.20 x 2.92 x 0.31 inches respectively. Swipe down notification center on any screen to find the setting gear icon. Next, Scroll to tap on Advanced Features. Now, Find and Tap on Motions and Gestures. Here you can see one-handed mode. Just tap on it. And Enable this option. Swipe finger down from top left to the middle of the screen or Top right to the middle of the screen. to show or put any screen in one-handed mode. Another option on the same screen is to use Button to enabling One-handed mode on galaxy android mobile. Once you enable or activate, You can put the screen into using Tripple click on home button. These are the two alternate ways to access or open one-handed screen on Galaxy S10 Plus, Galaxy S10 or Galaxy S10e.